There is no doubt to say that GoPro is a leader among all action camera producers. But within last few years many other companies have launched impressive models with all incredible features. 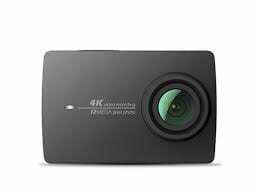 One of such outstanding action camera is YI 4K Action Camera from Xiaomi. This camera is competing with GoPro devices in terms of design as well as features. And the best part is that you can buy this feature-rich camera with payment of $199.99 only. So let us discuss few interesting features of this new action cam that can help us to decide whether it is able to steal the crown from GoPro or not. Let us start with the hardware part. Yi 4k looks almost same as that of GoPro device, even the waterproof case appears somewhat like GoPro product. Some resemblance is found in mobile applications as well as in mounting systems. The front side of Yi 4k is equipped with a lens and LED that provides current camera status indication. The 2.2 inch wide LCD screen is protected with Gorilla Glass whereas on top portion you will find holes for speaker and dual microphone. On the right side, a small flap is covering MicroUSB charging port and the left side is left bare. You will find a USB charging cable with your camera- nothing else. You need to buy you own power adapter. This is really sad when we compare it with GoPro Hero4 Black where box include waterproof case and mounting clips. You will have to pay $40 to get official Yi waterproof case and the best part is that it is compatible with GoPro device. In simple words, Xiaomi Yi 4K action camera is much easier to operate as compared to Hero4 Black. You need not to mess up with buttons as intuitive touch screen provides easy interface. You can easily switch between various settings to improve recording experience. It offers 6 different advanced shooting modes where three can be used for photos and three works for videos. Yi 4K can capture videos with 4K resolution at 25 and 30 fps frame rate, whereas for 1080p you can switch to 25/30/50/60/100 and 120fps. Battery life as well as settings and controls, everything is much easier. In order to capture slow motion videos you can go to 720p with 240fps. Further, the time lapse mode leads to impressive addition and you will definitely enjoy electronic image stabilization with fish eye reduction feature. Learn how to fix your action camera video clip with Filmora Video Editor. The image capturing ability of Yi 4K is really impressive but it is not up to Hero4 Black level in terms of colour and deep details. However, the images are sharp and crisp and you will get impressive details even in low light situation. It can capture images at 12 MP with pretty good results. The time lapse mode allows switching to 60, 30, 10, 5, 2, 1 and 0.5 seconds. This device contains a battery of 5.4Wh that is removable and rechargeable. It can assist users up to 120 minutes with 4K shooting at 30fps. If you prefer to work with 1080p at 30fps then Yi 4K action cam can serve you up to 2 hours 35 minutes with ease. The fish eye reduction works perfectly fine with Yi 4k action cam whereas Electronic image stabilization is compatible to 1080p resolution level only with 30fps. Few users have rated the effect of image stabilization feature very low as compared to GoPro devices but it is fine for beginners. If you prefer to record videos in low light location then your camera will automatically move to low light mode. The shutter speed can be adjusted as per need to boost the recording performance in night hours. Note that auto low light mode is not compatible with 4K and 2.5K resolution but works fine with 1080p. You will easily find a Micro USB Port on one side of device to plug in the battery charger. There is no facility for external microphone connectivity and you cannot even display the output. A MicroSD slot is available for storage. It also offers Bluetooth and dual band Wi-Fi connectivity so that you can enjoy remote control. You will never find any problem while transferring videos and images to smart phone. Get latest version of your Yi Action app. Switch on the location sharing from settings option in your smartphone. Enable GPS on Android device. Disable the VPN connection and cellular data. 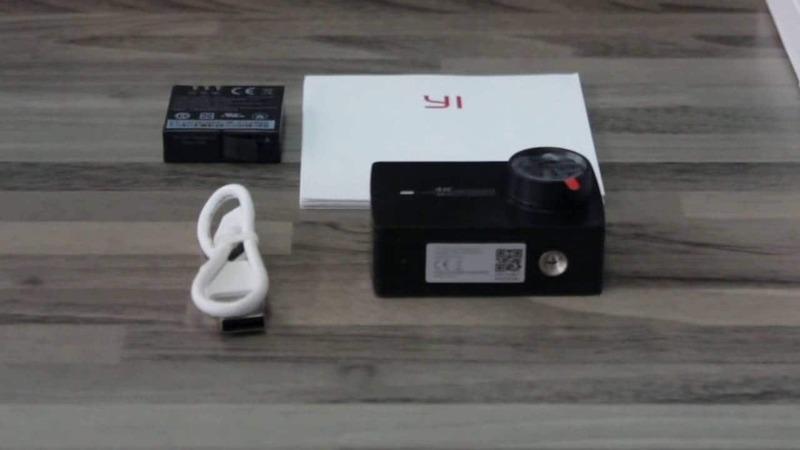 Start your Yi action app and connect action camera via Wi-Fi. Now you are able to access your camera tab on smartphone. However it may not seem a perfect camera to most of action camera lovers with many annoying defects but still it has so many features that offer impressive results. The price factor as well as performance of camera is much superior as compared to many newcomers in market.